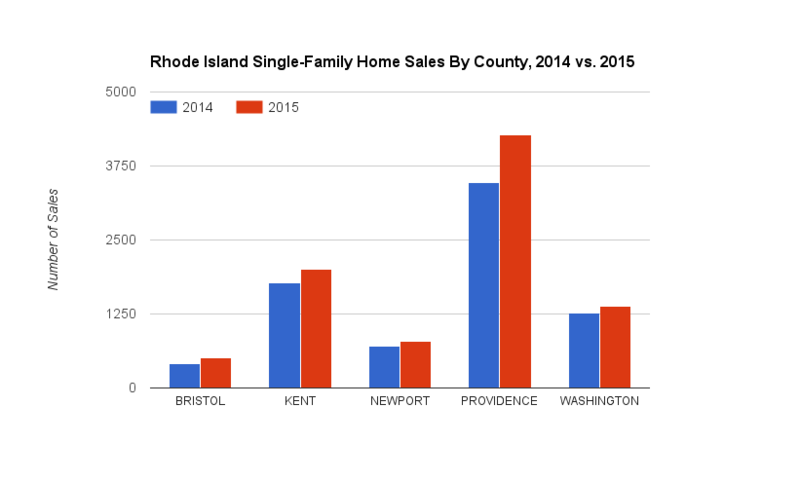 Boston, February 11 – Rhode Island saw another big month for single-family home sales in December, recording 852, a 24.7 percent increase from the 683 in December 2014, according to a new report from The Warren Group, publisher of Banker & Tradesman. Overall in 2015 there were 8,970 single-family home sales, a 17.6 percent increase over the 7,626 sales in 2014. Starting in May, the state saw eight straight months of double-digit, year-over-year sales increases. The median sales price for a single-family home in December was $225,000, a 9.8 percent increase over the December 2014 median of $205,000. The overall median price in 2015 was $224,900, a 3.6 percent increase over 2014’s median of $217,000. There were 107 condo sales in December, a 9.3 percent decrease from the 118 sales in December 2014. 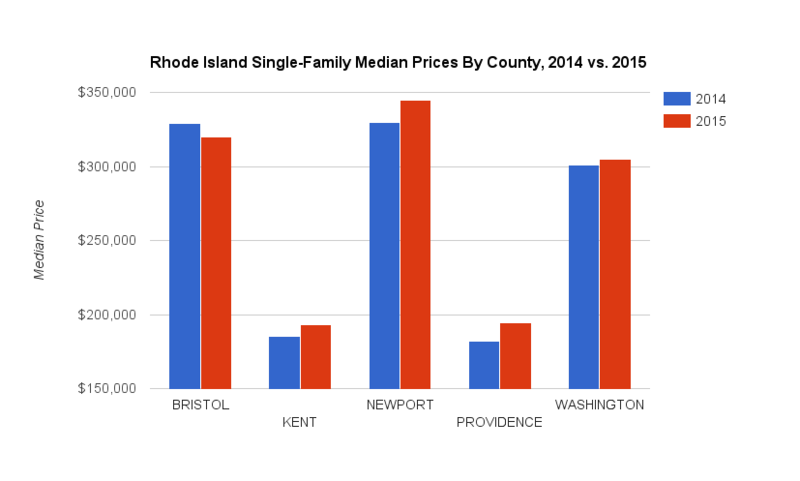 Overall there were 1,436 condos sold in Rhode Island in 2015, a 12.3 percent increase from the 1,279 sold in 2014. The median price for a condo in December was $165,000, a 3.1 percent increase from the December 2014 median of $160,000. Overall in 2015 the median sales price for a condo was $192,500, a 1.9 percent increase from 2014’s median of $189,000. Click these links to download town-by-town and county-by-county data.